JASIS 2016 is scheduled to be held from September 7 (Wed.) to 9 (Fri.) at Makuhari Messe and nearby facilities. 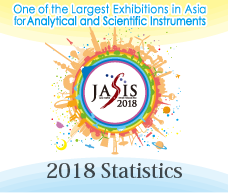 JASIS is a specialized exhibition of analytical and scientific instruments that the two associations organize. JASIS 2016 continues the slogan adopted in 2012, "Discover the Future." 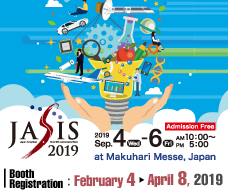 It will offer not only booths on the exhibition floor but an abundantly diverse range of conferences, seminars, and New Technology Seminar presentations by exhibiting companies with the aim of "creating a place where innovation is born and new discoveries lead to future business development" as Asia's largest specialized exhibition of scientific and analytical instruments. The scale of this year's exhibition will be similar to last year's, which reached a record high in terms of the number of companies and booth spaces as well as the number of themes of New Technology Seminar presentations. The number of attendees is expected to reach around 30,000 people.